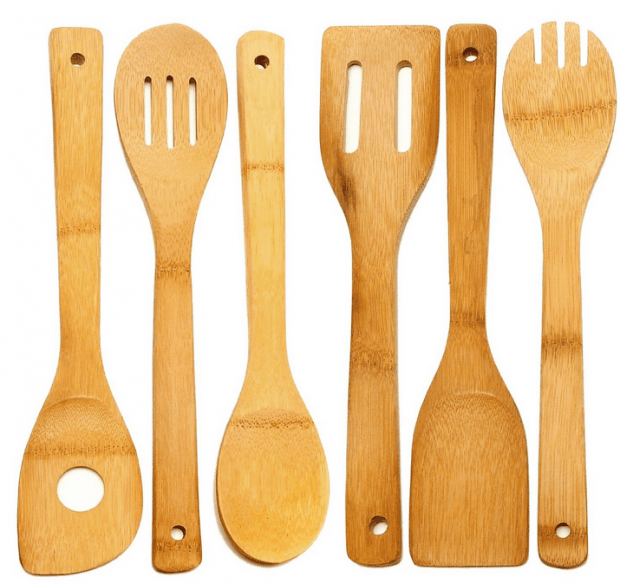 Huji® 6 Piece Bamboo Wooden Kitchen Cooking Utensils Only $6.99! Whether or not you love to cook, you’ll love the strength, attractiveness and dependability of Huji® Bamboo Utensils! This set includes a fork, turner, slotted spatula, spoon, slotted spoon and a single hole mixing spoon. The Huji® 6 Piece Bamboo Wooden Kitchen Cooking Utensils set is Only $6.99! Each utensil features a convenient hanging hole in case you want to hang it from a rack or hook. Huji® bamboo kitchen tools are safe to use on hot surfaces and will not scratch non-stick surfaces. Huji® bamboo wood utensil set is strong, eco-friendly, biodegradable, and made from 100% high quality moso bamboo. Doesn’t Scratch Pans and Pots. Dishwasher safe.